The International Exhibition Centre is the biggest expo building in Ukraine combining three premium-class pavilions into unified architectural ensemble зwith 58000 square meters of total area, including 28 018 square meters of exhibition area, which engineering capability allows realizing of the most daring exhibition projects and holding of events of different scale and levels of complexity. 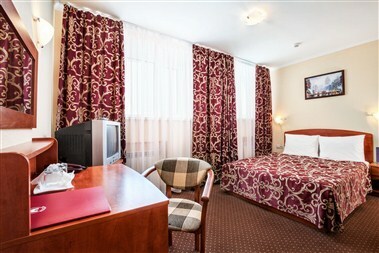 Hotel Bratislava is a three star hotel located in Kiev, Ukraine. 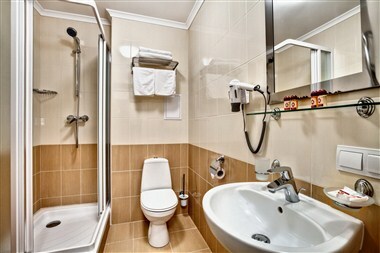 337 rooms ranging from Standard to Superior and Suites. There are 13 Conference Rooms at your service with capacity from 14 up to 350 persons and a comfortable Business Center. 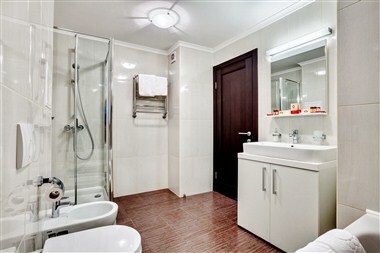 Free Wi-Fi Internet connection available in all the hotel areas including rooms. Spacios parking for cars and busses.